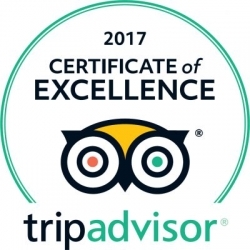 Cabo San Lucas, Mexico, November 03, 2017 –(PR.com)– Casa Dorada Los Cabos Resort & Spa, one of Cabo San Lucas top beachfront resorts, has been awarded with the TripAdvisor Certificate of Excellence award. The accolade, which honors hospitality excellence, is given only to establishments that consistently achieve outstanding traveler reviews on TripAdvisor, and is extended to qualifying businesses worldwide. Only the top-performing 10 percent of businesses listed on TripAdvisor receive this prestigious award. With an incomparable location on Medano Beach, the best swimmable beach of Los Cabos, Casa Dorada Los Cabos, Resort & Spa is just steps away from world-class shopping malls, dining, entertainment, and the marina. Casa Dorada Los Cabos, Resort & Spa offers an upscale service and family-friendly features to the Cabo San Lucas area. Boasting unobstructed vistas of land’s end and the famous Arch, the resort is located just 30 minutes away from Los Cabos International Airport. All of the 150 spacious one, two and three bedroom suites and penthouses, open up to Los Cabos most dazzling ocean view, while the luminous and contemporary interiors ensure comfort and satisfaction.